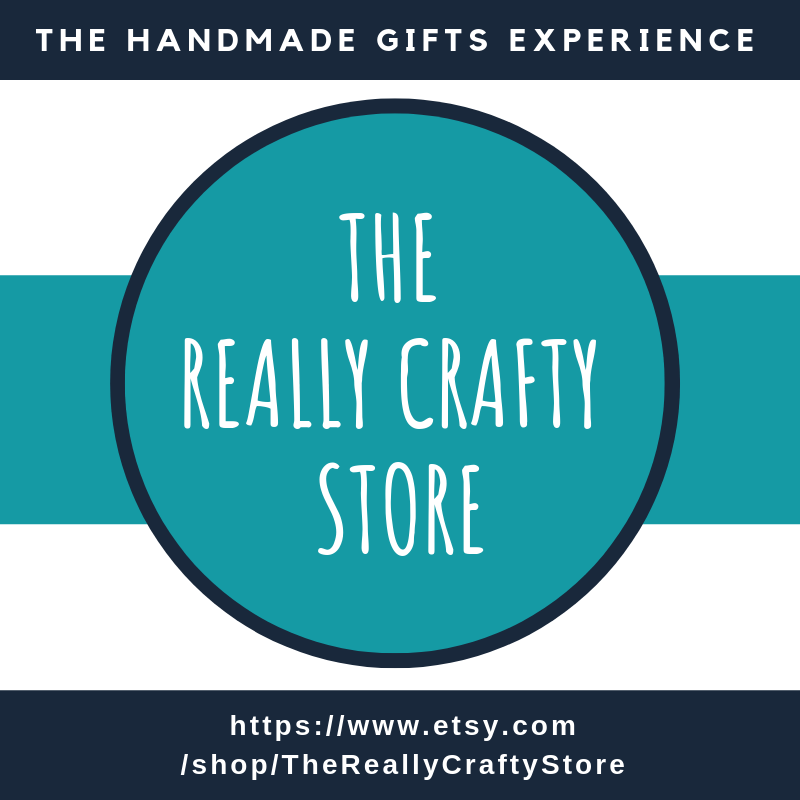 As part of my 2018 destashing goal, I've been (slowly) going through my crafts closet, finishing (or getting rid) of long lost projects. 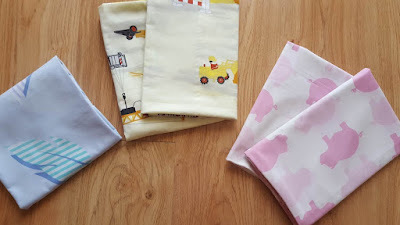 This was how I came across a bunch of old crib sheets that I saved years ago, not necessarily for a trip down memory lane, but more because the fabrics were cute and I thought I could re-use them. 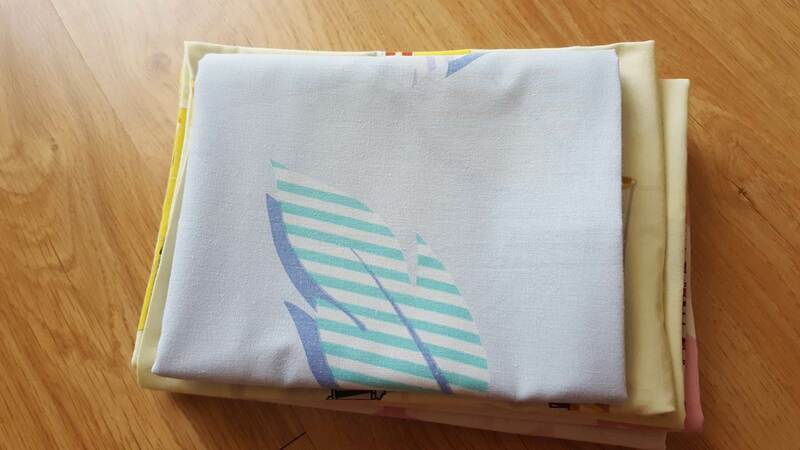 Well, it's been a while but I finally managed to use those old sheets: I made pillow cases. I was working on a timeline, trying to get the cutting and sewing done early on Saturday morning to avoid leaving it unfinished again, so I didn't take enough photos for a tutorial, but I basically followed the same method as my 10-minute pillow cover tutorial. And there it is: a nice pile of "new" pillow cases that my kids can use. All in all, I made five pillowcases. 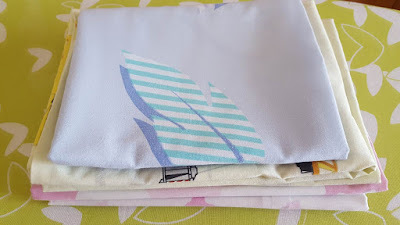 In theory, you can get two pillowcases out of each crib sheet, but the original blue sheet was partially damaged so I I could only get enough good fabric for one pillow case. 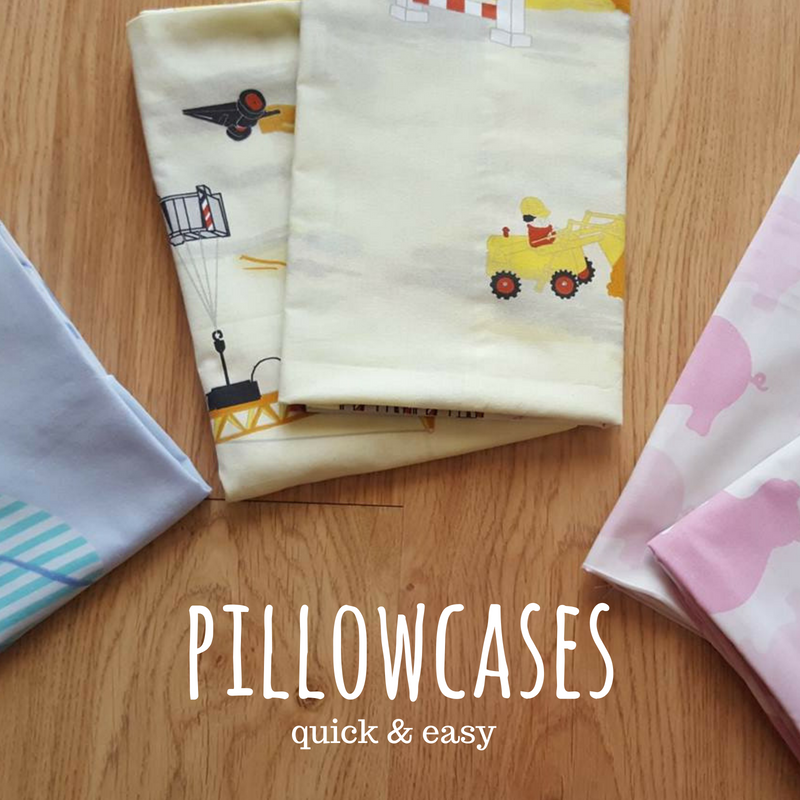 This is really a great idea to use (or re-use) fabrics you have in your stash, and those pillowcases are so quick and easy to sew that you can make a whole bunch in almost no time at all. SUch a clever use of the crb sheets!!! Thank you for sharing last week on Oh My Heartsie Girls Friday Features, this week your post is being featured! !